Why is the McMullin Area GSA developing a GSP? The Groundwater Sustainability Plan (GSP) is a requirement of the 2014 Sustainable Groundwater Management Act (SGMA). The State law requires all high- and medium-priority basin GSAs (Groundwater Sustainability Agencies) develop and implement a GSP. 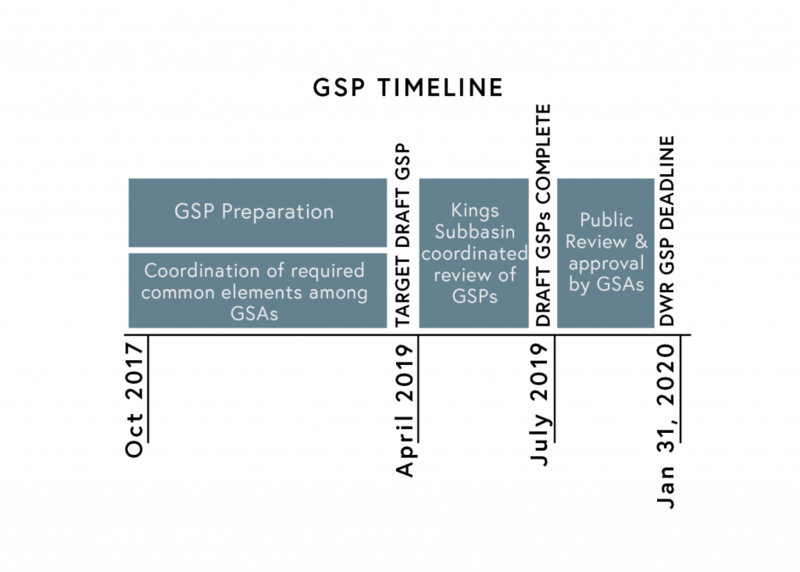 Basins designated as medium- or high-priority and critically overdrafted are required to complete a GSP by January 31, 2020. SGMA defines a basin as critically overdrafted “when continuation of present water management practices would probably result in significant adverse overdraft-related environmental, social, or economic impacts.” The GSP is a roadmap for how a basin will avoid the adverse effects of overdraft and achieve balanced levels of groundwater to reach sustainability. The McMullin Area GSA (MAGSA) has been designated under SGMA as a high-priority, critically overdrafted basin. 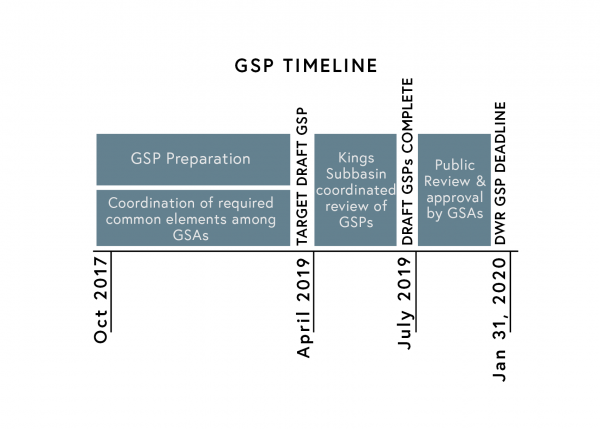 As such, MAGSA will work with neighboring GSA’s within the Kings Subbasin to reach a coordination agreement to align GSP’s by the State mandated deadline of January 31, 2020. McMullin Area’s GSP will include a physical description of the groundwater management area including groundwater conditions, a water budget, groundwater management criteria, a monitoring program, and projects and measurable objectives to become sustainable within 20 years. It is the goal of the McMullin Area GSA Board to develop a GSP that will allow flexibility in supply and demand-side solutions to achieve sustainability. 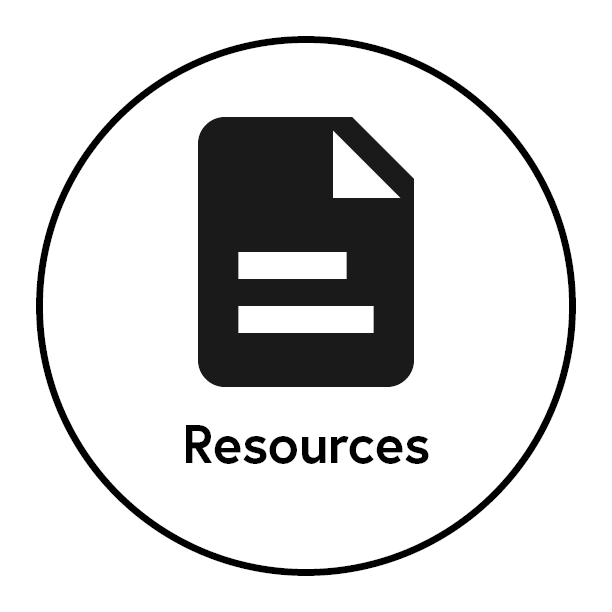 While the State’s requirements for a GSP’s content are the same for all GSAs, the McMullin Area’s issues and solutions will be very specific to the unique challenges within the groundwater management area that it serves. The CA State Water Resources Control Board is the SGMA enforcement agency. If GSAs fail to meet mandates stipulated in SGMA, the Board will intervene to implement the law. If the GSP is found by DWR and the SWRCB to be inadequate after the January 31 2020 deadline, the subbasin will be deemed “probationary” and the State Board will step in. State Intervention will require any groundwater extractors to file an extraction report with the State Water Board, and the Board may require the use of meters to measure extractions. 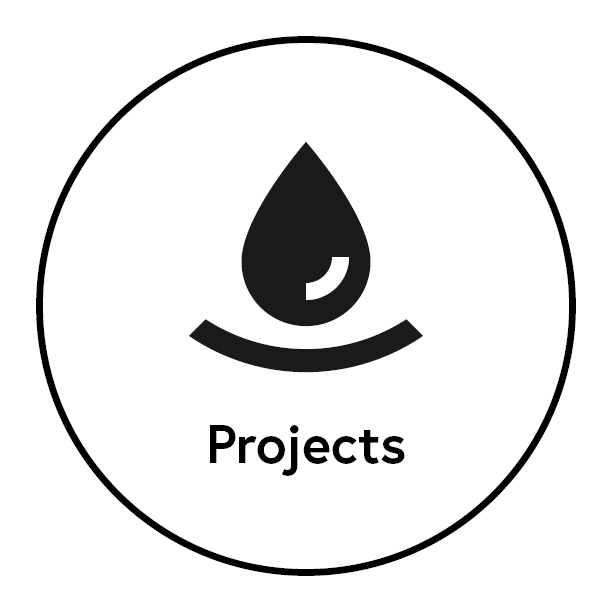 The associated fees of State Intervention are much higher than fees collected by the local GSA, and would not include beneficial local projects for sustainability. The State Intervention fee structure is pictured below (click image to enlarge). The State has granted local GSAs powers to implement the law. Sustainability success is measured by the State at a subbasin level rather than individual GSA level (given multiple GSAs exist within a subbasin). The law states a GSP may be 1) a single GSP developed and implemented by one GSA covering the entire subbasin, 2) a single GSP developed and implemented by multiple GSA’s covering the entire subbasin, or 3) multiple GSPs implemented by multiple GSAs within the subbasin under a coordination agreement between those GSAs (Section 10727). Although GSAs may choose to develop individual GSPs, they must cooperate to bring the subbasin to sustainable groundwater levels by the year 2040. The McMullin Area GSA is one of seven GSAs within the Kings Subbasin. 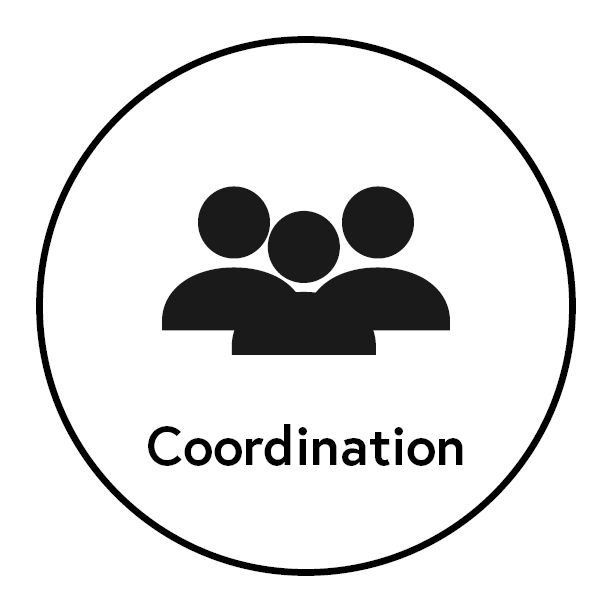 The GSAs have moved forward to develop individual GSPs, and will enter into a formal coordination agreement to ensure sustainability is met as a subbasin. The McMullin Area GSA highly values public input throughout the GSP process. Participation and engagement is necessary for the consideration of local stakeholders interests and preferences. The GSA will continually provide opportunity for the public to engage in the planning process. 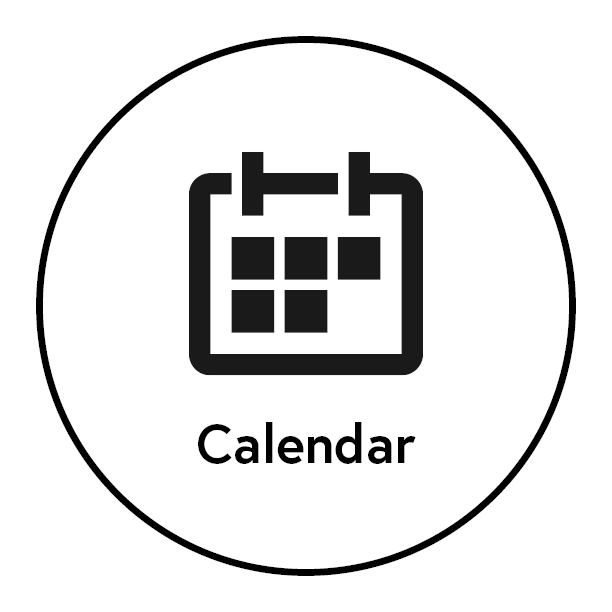 Check our GSP calendar for upcoming events, and if you haven’t already, click here to sign up for our Interested Persons email list.